On November 6, 2018, Utah voters passed Proposition 3 and finally put to rest a years-long debate. Voters chose to fully expand the Medicaid program as directed under the law, without relying on waiver approval from the Trump administration. Now, Medicaid expansion must be implemented, with enrollment beginning on April 1, as the voters decided. Vulnerable Utahns cannot wait another day to get the care they need. For some individuals, this is the help they’ve been waiting for in order to get healthy and get back to work. For others, this is the key to finally access lifesaving medical treatment before it’s too late. Any delay or significant change to Proposition 3 is a repeal of the will of the people. Calling legislative actions “fixes”, “tweaks”, or “amendments” may soften the language around repeal, but it won’t soften the harmful impact. The Utah state Legislature had six years to put together a Medicaid expansion, but it took the public to step up and get it done. Now, the same elected officials who trusted your vote to put them into office evidently don’t trust your vote to expand Medicaid. Contact your legislators and the governor today and stand up for your vote, and for the health and well-being of your neighbors. Utah Health Policy Project is a nonpartisan, nonprofit organization advancing sustainable health care solutions for underserved Utahns through better access, education, and public policy. UHPP envisions a future in which all Utahns have access to high quality and affordable physical, oral and behavioral health care and are equipped to make informed decisions within a system that meets their health care needs in a timely manner. 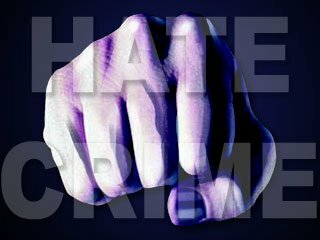 Updated: Will a fourth time be the charm for hate-crimes legislation in Utah?